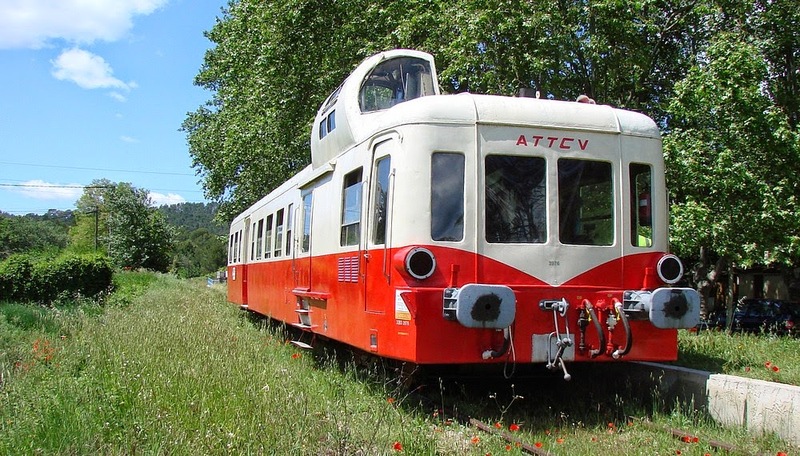 ATTCV - l'Association du Train Touristique du Centre Var - is a non-profit association established in Carnoules in 1994 by a group of train enthusiasts. The association's logo, not used on the railcars or other track vehicles, is in the colors red, yellow and white. 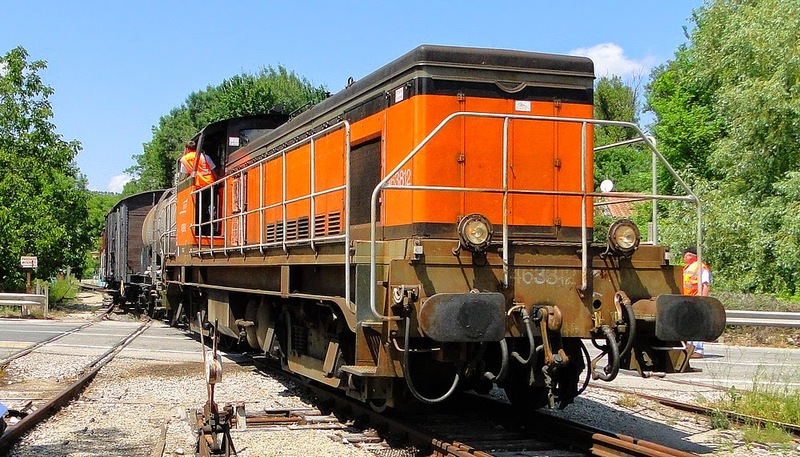 The task of the association is collection, preservation and operation of old railway equipment, primarily from the second part of the 20th century. The first years were spent on collecting equipment and information. ATTCV managed to get a part of the track yard at the station in Besse-sur-Issole as a depot for the collected equipment. The first railcar collected was the Picasso. It took some time to get permission to operate the Picasso with passengers on the Carnoules to Gardanne line. 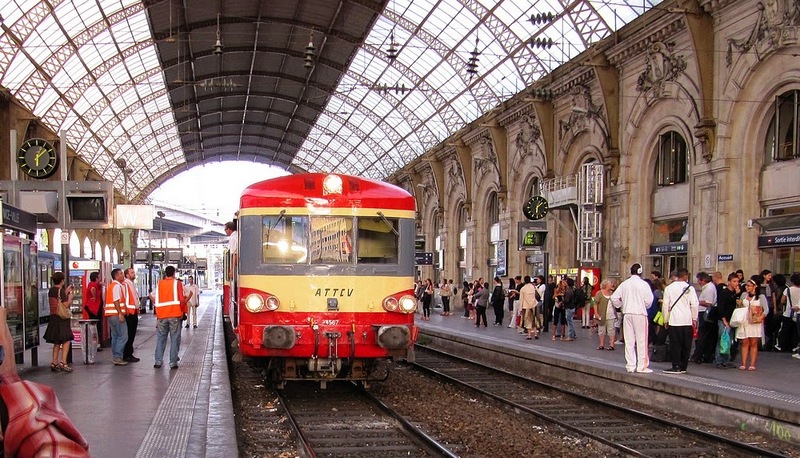 Actually, it wasn't until August 19, 2001 that the association could run its inauguration train with passengers, from Carnoules to Brignoles and back. 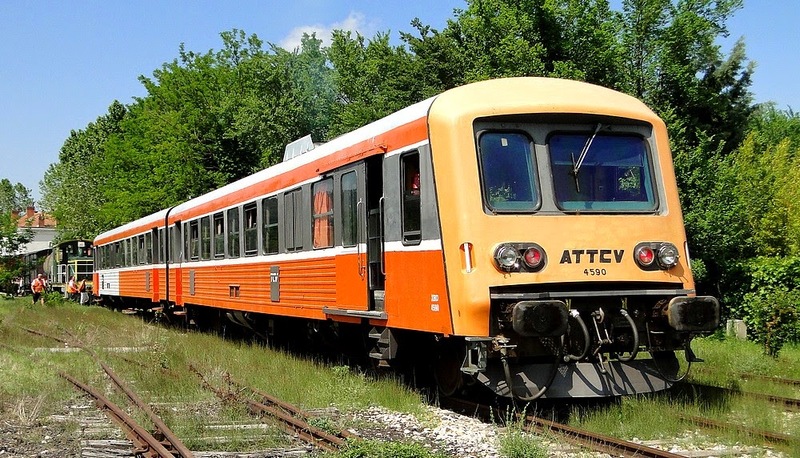 This date became the official start date of the "live" tourist train activities. The second railcar in the Caravelle X4567 was the second railcar in the collection. After a lot of work and efforts by the enthusiasts gave the railcar the look it has today. A third railcar was then received, a more recent version of the Caravelle, X-4590. Substantive work by the members gave it its present nice appearance. A high power diesel locomotive BB-63812. A second diesel locomotive, BB-64042, arrived in November 2012. In addition to these, the associations has a number of passenger carriages, a service vehicle DU-65, goods wagons, tank wagons and other service vehicles. Some are in an operational state, others are waiting for restoration. All work is done by voluntaries, not reimbursed members. The association is still small in numbers, both in terms of active members and in terms of supporting members. This limits the possibility to further increase the activities, e.g to run more trains. 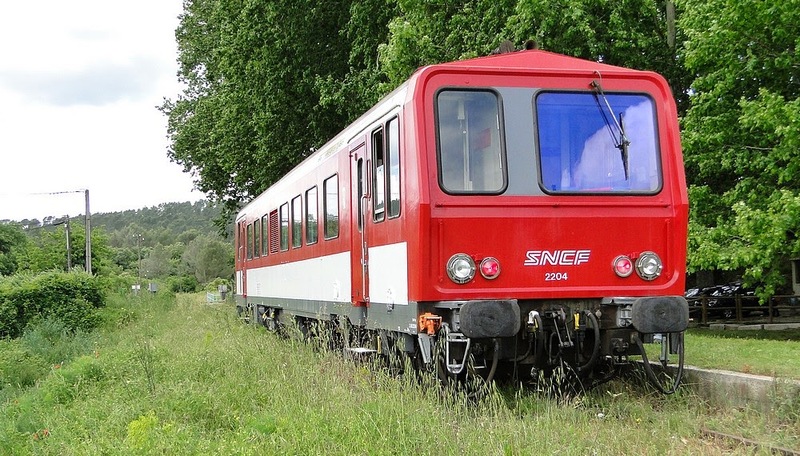 All personnel involved in operation of the rail vehicles has to be authorized by the SNCF, including regular medical check-up and training in safety and other matters. 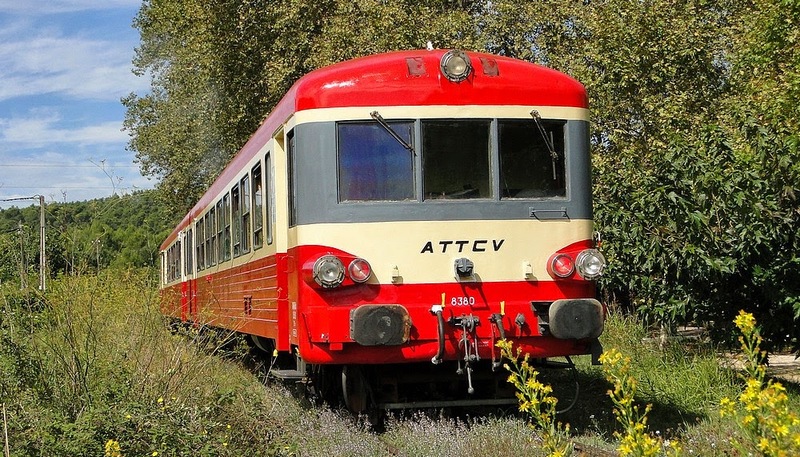 One of the ATTCV railcars - X-4567 - is still authorized to operate on the French national railway tracks. 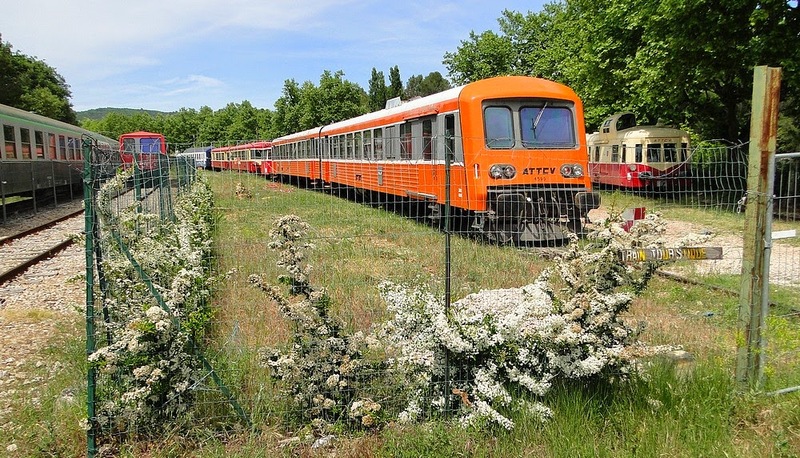 This allows the Association to arrange special excursions outside the Carnoules - Gardanne line, primarily within the PACA region. One example is the repeated special voyages Train des Merveilles - Retro to Tende close to the Italian border in the southern Alpine area. Although the majority of passengers are French, the association has seen large numbers of passengers from other countries, including most European countries as well as USA and Asian countries.